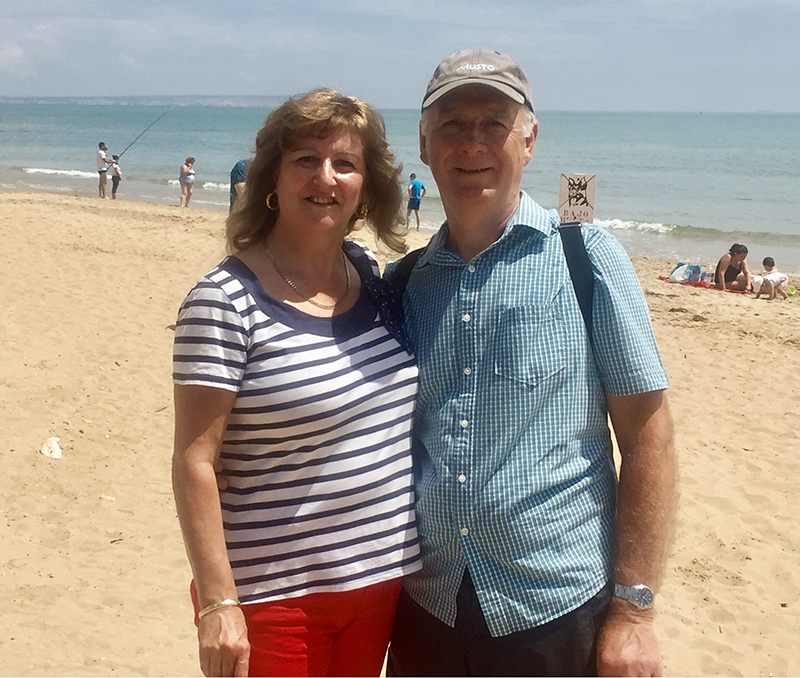 Life has been a bundle of fun for Lorraine and Brian Astridge since they swapped the UK for Spain and moved to the Costa Blanca. The Astridges from Hertfordshire got the keys to their quad house in Playa Flamenca at the end of April 2018. They found the property whilst doing viewings with HomeEspaña in November 2017, when they agreed on a purchase price of around €130,000. Amazingly, less than a year before that the couple had never even holidayed in Spain, let alone thought about living there! The Astridges returned to Orihuela Costa in November that year, when they rented a house and arranged to view properties with HomeEspaña. Lorraine had one key requirement for their future home – it had to be south-facing. By early February 2018 Lorraine and Brian had accepted an offer on their UK home and by mid-April, they had sold up. They flew out to the Costa Blanca two weeks later and moved into their Spanish house, the day after their lawyer completed on their behalf. Their new home has two large bedrooms upstairs, as well as a solarium area that has been enclosed meaning it could be used as a third bedroom. They have off-road parking, a garden area, and terraces at the front and rear. There is a communal pool nearby.